Entering its second-generation, the 2018 Audi Q5 is all-new. It now offers more power from the standard engine, a revised all-wheel-drive system, more available technology features and crisp, and new styling. If you are interested in a 2018 Audi Q5, then you have come to the right place. 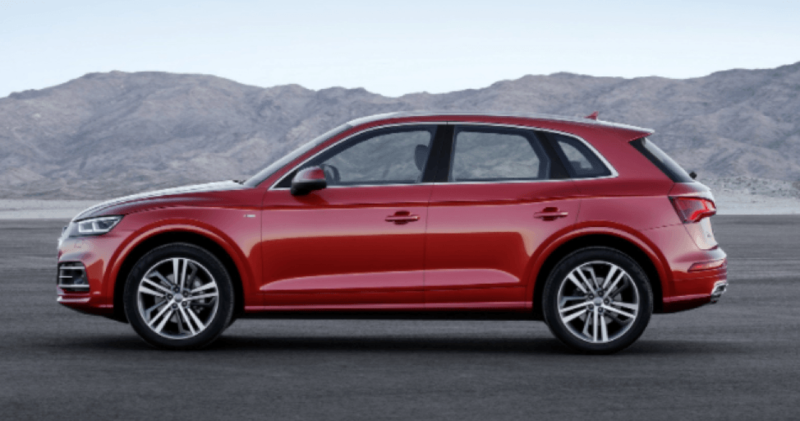 Pfaff Audi Vaughan has a very large selection of premium quality Audi SUVs, and if you are looking for more information about the Audi Q5, we encourage you to continue reading this article by Pfaff Audi Vaughan. From a distinctive Singleframe grille and available full LED headlights to its prominent Shoulder line and power tailgate, the redesigned 2018 Audi Q5 embodies timeless SUV design everywhere you look. The sleek power tailgate with hands-free tailgate release opens up to the most cargo space yet. With key in pocket, you won’t even have to lift a finger. Available 3D-styled full LED headlights not only have a distinctive light signature, they consume less energy and last longer than conventional bulbs. The distinguished Audi Q5 design aesthetic continues throughout the cabin of the vehicle, combining comfort and sophistication to create an exhilarating environment for drivers and passengers alike. Versatile cargo space with generous 60.4 cubic ft capacity with the 40/20/40 rear seat back folded down. Individual, attractive and functional. The Audi Q5 offers a standard ambient lighting package with white LEDs or an available ambient lighting package with unique color profile options including Maritime Blue and Impulse Red. The Audi Q5 is engineered with legendary quattro all-wheel drive and the powerful 2.0 TFSI engine that puts out 252 hp and 273 lb-ft of torque. Paired with a dual-clutch seven-speed S-tronic automatic transmission that features remarkably fast and smooth shifting performance, the Audi Q5 delivers a dynamic driving experience. Audi drive select allows the driver to pre-select five driver-selectable modes. The result: performance you can modify to help tailor your Audi Q5 to suit your driving style. The lightweight suspension of the 2018 Audi Q5 is an all-around MVP, offering a ride that is comfortable, agile and engaging. Available adaptive damping suspension puts you in control of a variety of different suspension and damping options. For more information about the all-new 2018 Audi Q5 at Pfaff Audi Vaughan, please feel free to continue browsing through our website. Click here to find our contact information and to fill out our contact form.